Thank you for choosing ZePrA. ZePrA is a hot folder-based color server for optimizing TIFF/JPEG/PSD/PSB image files and PDF data with DeviceLink and ICC device profiles. ZePrA’s primary application is optimization or color conversion of CMYK printing data, installation in media-neutral workflows with RGB data and Multicolor processing capabilities. The high quality of optimization or color conversion of CMYK, RGB, Grayscale and Multicolor printing data is achieved through DeviceLink profiles, as well as intelligent PDF processing. 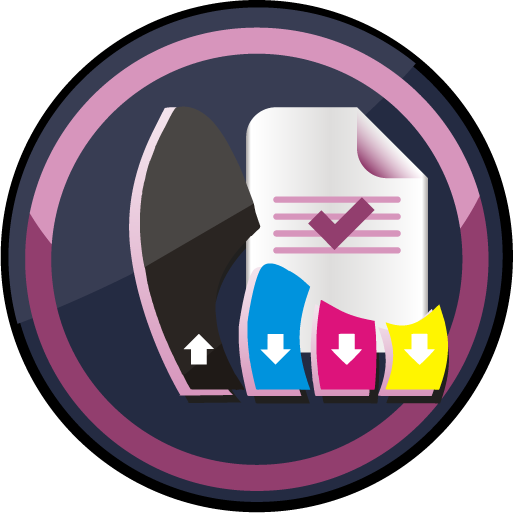 For a range of standard-compliant printing processes, ColorLogic has also developed standard DeviceLink profiles that can be purchased in a bundle. ZePrA includes SmartLink technology for on-the-fly calculation of DeviceLink profiles for high quality color conversion to a variety printing processes. Automated color management often requires extensive and complex configurations, especially with today’s PDF files. ZePrA Smart Color Server’s primary focus is to create, duplicate and modify configurations and queues for typical tasks in day-to-day production work easily. We hope you enjoy working with ZePrA and wish you successful optimization and color conversion! ZePrA’s sidebar allows quick access to all main workflow functions. Simply move the mouse over the Home button on the left and click on the required module. Click to download a PDF version of the Quick Start Guide. Installers for the respective platform install the application by default either in the folder Applications (macOS) or Programs (Windows). Begin installation by double clicking on the installation package. After accepting the Software License Agreement, select the destination volume and choose between a Standard Installation or a Custom Installation. Standard Installation installs all components (e.g. the Measure Tool in CoPrA or the DLS-Manager as described below). ColorAnt: The integration of ColorAnt (or ColorAnt’s Measure Tool with CoPrA Basic) allows to measure test charts for profile creation from within CoPrA. DLS-Manager: Allows installation of DeviceLink Sets. DeviceLink sets are standard DeviceLinks that will perform a variety of standard color management tasks. A complete list of sets and profiles can be found in the online help. ColorAnt M is included in CoPrA M to XL. CoPrA Basic includes ColorAnt’s Measure Tool. These folders can also be accessed by using the entries Open EditTargets folder and Open Testchart folder in the menu Tools. The context sensitive Online Help opens up in a web browser after clicking the question mark icon of the respective program window, the F1 key or using the Help menu entry Online Help. An active internet connection is required. A permanent license will be provided by your dealer after purchasing the application. Permanent licenses are available as computer-based or dongle licenses. Computer-based licenses are always tied to the computer on which the software (CoPrA, ZePrA or ColorAnt) is installed. This is useful for temporary test purposes. Computer-based licenses are also required if the computer lacks an USB port or space for an USB dongle, i.e. a rack server. USB dongle licenses are serialized to the dongle. The USB dongle communicates with the appropriate software license and enables the software to be used on different computers. To assign the license to the USB dongle, it must be connected to the computer before starting the software. After purchasing the software, a permanent license file (*.lic) will be sent via email. Load the license file in the tab License details under Registration to activate the application. After installing the permanent license file, the licensed modules are displayed under License details. When the application is launched, it will check the specified folder by default. Copy the license files of ColorLogic applications into the following folder: C:\Users\Public\Documents\ColorLogic\LicenseInstall. License status: The expiry date for time limited versions of the software (for example, NFR or demo licenses) is shown at the bottom right of the software window. No expiry date is displayed for full versions. Available Features: Shows the activated modules and add-ons. Complete instructions on how to download and install ColorLogic applications and how to request and activate a demo license can be found here. 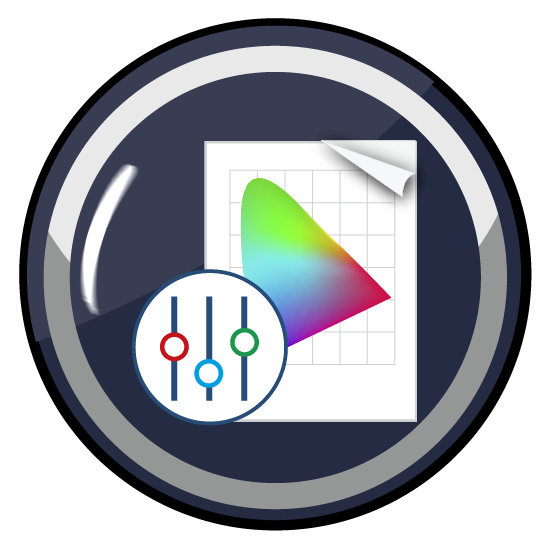 ZePrA has six auto setup methods to set up workflows for the most common color management tasks. It takes just a few steps to create Configurations and Queues. 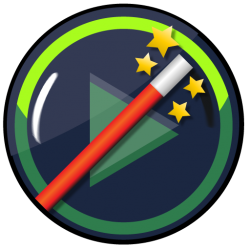 To process files, either use a previously created DeviceLink profile, or use the SmartLink function to create a DeviceLink profile on-the-fly (SmartLink license required). The Automatic Setup Wizard also allows workflows that save ink, optimize the total area coverage (TAC), and apply gradation corrections. The content of the PDF file is first normalized to the document color space or output intent and then converted to the desired target color space using DeviceLink profiles. The data is normalized to the document color space or output intent. After conversion, the final, normalized file consists only of a color space and spot colors, if present. If PDF objects are present in the RGB color space, they are converted with the embedded profile to the document color space using the rendering intent defined in the PDF file. 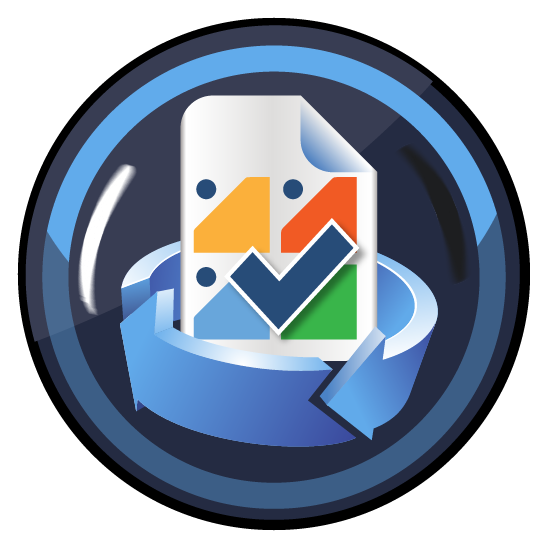 The data is first normalized to the document color space and then optimized using either an existing SaveInk profile or a SmartLink SaveInk method. Three color saving methods are available. The data is normalized to the document color space and the total amount of color is reduced. This can either be done using specific profiles to reduce the total area coverage (TAC), or by defining the SmartLink value under Desired TAC. Direct Color Conversion to New Output ConditionThe data is directly converted to the target color space with embedded profiles, without normalizing to the document color space beforehand. This setup mode enables the best color space utilization of the target color space and is particularly suitable for media-neutral data, e.g. RGB image data with ICC profiles. Apply Gradation Curves OnlyIf the printing process differs due to changed printing conditions (e.g. due to substrate or other printing parameters), adjustments can be done directly in ZePrA, without CtP compensation curves in the RIP, by applying gradation corrections “on-the-fly”. Use an existing DeviceLink profile or use SmartLink to create and use a high-quality DeviceLink profile on-the-fly. Choose a DeviceLink profile for the configuration (e.g. from our DLS DeviceLink sets, available from any ColorLogic dealer), and select it from the drop-down menu. The source and target profiles are set by the DeviceLink profile. 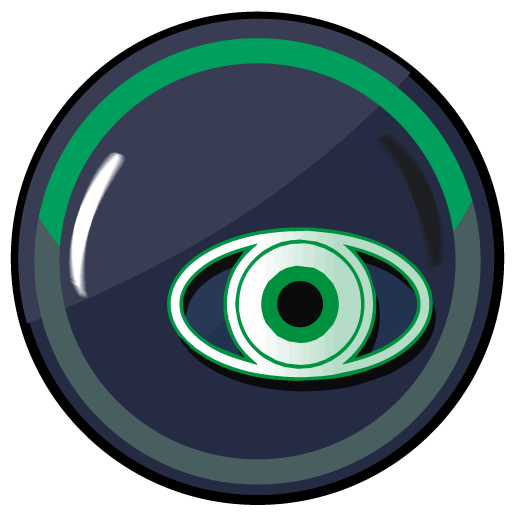 The SmartLink function creates DeviceLinks on-the-fly from source and target profiles to avoid problems normally associated with a regular ICC conversion and increases conversion quality. Note: Requires a SmartLink license. If the SmartLink function is not available, normal ICC conversions are performed for objects with embedded ICC profiles. The document color space serves as a reference to create a uniform printing color space for the colors of the PDF file. Selecting the Prefer Output Intent checkbox will use the output intent of the PDF/X file instead of manually setting the document color space. ZePrA contains five rendering intents in addition to the four standard ICC rendering intents. They are only available when SmartLink is licensed. 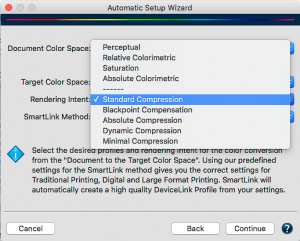 Standard Compression: For conversions including color spaces of different sizes. Calculates a perceptive conversion for input and target profiles that is suitable for all types of gamuts. Black Point Compensation: Use Black Point Compensation to achieve the same results with a perceptive conversion as with “Relative Colorimetric with Black Point Compensation”. When converting from a large to a small color space, the image definition is preserved in the highlights and shadows, unlike a pure Relative Colorimetric conversion. Neutral tones are converted using the relative colorimetric intent. Out-of-gamut colors are clipped. Absolute Compression: If the color gamut is similar, but the paper shade differs significantly. In contrast to Standard Compression and Black Point Compensation, the gray balance compensates for paper coloration. The color of the original file is preserved in the best possible way on a target medium with a different paper color. Shadow areas are increased for small color gamuts. Standard Compression, the gray axis of the conversion is build relative to the paper white of the target profile. Dynamic Compression: Compares the source color space and target color space and generates compression that minimizes out-of-gamut areas. Preserves the brightness of the original color space while reducing the saturation, therefore preserving the image definition. Minimum Compression: Allows almost absolute colorimetric reproduction, compensating only for areas near the black and the white point. The SmartLink methods apply different requirements of various printing conditions so the desired color is correctly reproduced and optimally separated for a specific printing process. Traditional Printing – Classic: Offset, gravure, or newspaper printing. Black, grey, primary, secondary and tertiary color tones of the source profile are retained. The total area coverage from the target profile is applied. Traditional Printing – Automatic: When the color and paper of the target color space differ significantly from the output intent or document color space. The separation is retained. Large Format Printing – Inkjet: The separation is characterized by a strong GCR and a late black start. The black point and the total area coverage are calculated automatically. Otherwise like Traditional Printing – Automatic. Digital Printing – Toner: For toner-based digital printers and office printers. A high percentage of black is used to achieve a stable print and neutral gray balance. The total area coverage from the target profile is applied. Otherwise like Traditional Printing – Automatic. 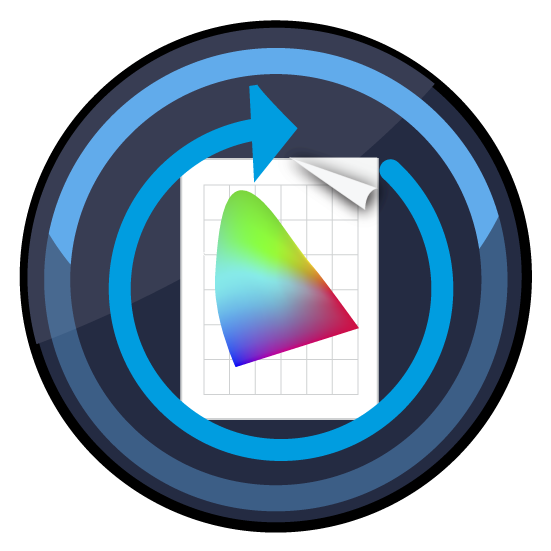 These gradation adjustments apply external files on-the-fly to existing curves, adjusting process colors and/or spot colors without changing the document color space. Select linearization DeviceLink profiles created with CoPrA or previously imported files including curves (gradations). External files including the gradation corrections for the curves (gradations) to be changed can be loaded. ZePrA then imports the files into its own folder structure. When working with PDF/X-3, PDF/X-4 or PDF/X-5n files that may still contain RGB or CMYK objects with embedded profiles, normalize the files. If the PDF file does not contain an output intent, define an ICC profile as the Document Color Space. Select the Prefer Output Intent checkbox to ensure that any existing output intent takes precedence over the specified document color space and is retained. In the last step of the wizard, assign a Queue name. The corresponding configuration automatically receives the same name. Define the Base Folder. The Queue and its subfolders are created. To only create a new configuration, deactivate the Create Queue checkbox. The last step completes the workflow setup and it is immediately available. In ZePrA, files are processed via queues. Each queue is assigned a configuration. A configuration contains all the necessary settings for converting and processing the file. Queues and their configurations are managed separately and configurations can be modified and re-assigned to different queues anytime. The Jobs and Queues Overview window (Sidebar: Overview) provides an overview of the queues and associated configurations. Queues created with the Automatic Setup Wizard usually have the same name as the corresponding configuration. The order of the jobs to be processed is determined by their priority. 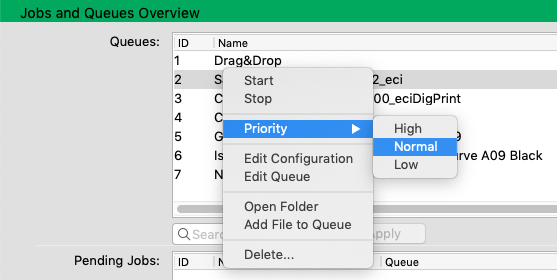 Change the Priority by right-clicking on the queue and change its default setting Normal to High or Low. Queues can be controlled with Start and Stop buttons located in the lower right corner. To create a new queue, create a Base Folder, assign a configuration and a name. Use the New button in the Queues tool to manually create a queue. To configure the queue afterwards, first select the queue and then select the configuration from the Process with Configuration drop-down menu in the Options tab. All settings related to color handling and PDF processing are defined under Configurations. 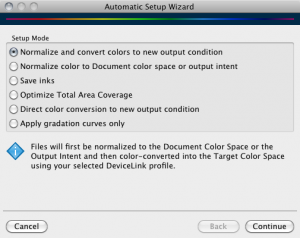 This includes color conversion via ICC output profiles or DeviceLink profiles, handling of mixed PDFs (documents with data in CMYK, RGB, Grayscale and spot colors) and individual settings of gradation curves and spot colors. Various presets and optimization options are available for all settings. In the upper part of the window, select a configuration, create, rename and save new configurations. 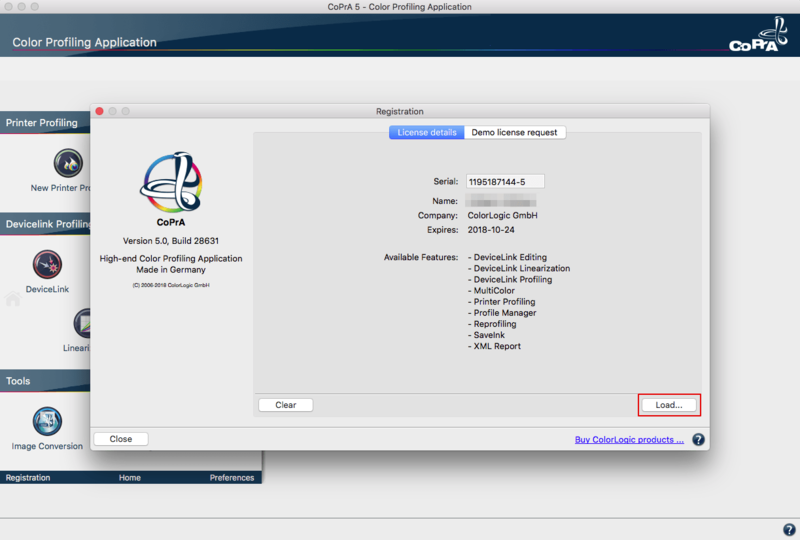 To duplicate an existing configuration, select New, enter the new name and Save. To use a duplicated configuration, assign it to a queue. Queues are displayed in the Overview in chronological order. The lists can be sorted by clicking on the respective column. To start a job, select Open Folder from the context menu to open the corresponding Input Folder (hot folder) of the queue. Copy or move the file (TIFF/JPEG/PSD/PSB image, PDF) into the Input Folder, or simply drag and drop the file onto the appropriate configuration in the queue overview. Alternatively, right-click on a file and copy it into the queue’s hot folder. When a file is placed in the Input Folder, ZePrA automatically converts it according to the settings specified in the configuration and places the converted file in the Output Folder. The job ID and configuration name are added to the file name. The original file is moved to the Originals Folder. Problem files are stored in the Error Folder. Files with a yellow warning in the overview window have been processed but may have issues. They are usually placed in the Output Folder. Alternatively, when configuring the queue, define an Output Folder with Warnings, where such files will be moved after processing. Incorrectly processed or unsupported file types are highlighted in red and moved to the Error Folder. Creates and displays the soft proof of the selected job. Saves the job report as PDF, HTML, TXT or XML. Allows the reconversion of an already processed job using the same configuration without having to search for the file in the hot folder. 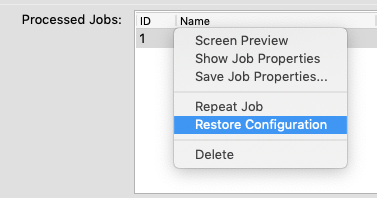 From ZePrA 7 onwards, the associated configuration settings of jobs are also saved. 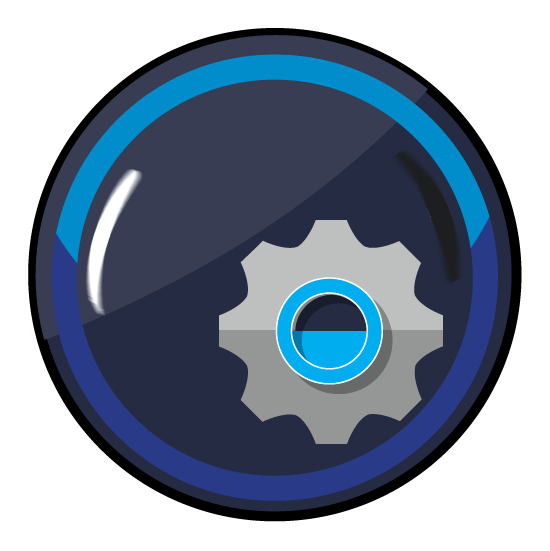 This allows the configuration to be restored and jobs can be processed using the original settings, even if the original configuration was changed or deleted. 1. On the sidebar, click on Queues. 2. Click New to manually create a new queue. Give the queue a Name and select the Base Folder. The corresponding subfolders will be created automatically. Select the Configuration from the drop-down list. It contains all settings for the handling of the colors and the processing of the file. 3. Copy or move the files to be converted into the Input Folder of the queue. 4. 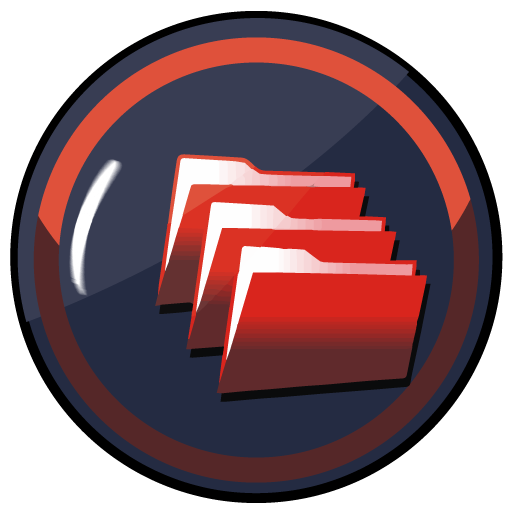 If the files are to be copied to a server or network drive, it is recommended to create a Temporary Folder on the local system where ZePrA is running. 5. The converted files can be found in the Output Folder. If a file could not be processed, it is moved to the Error Folder. Files that could be processed but may contain a problem are placed in the Output Folder with a warning. The original files are moved to the Originals Folder. Target File Name: Append text: Appends a suffix to the original filename. Append Job ID: Creates a unique serial number and appends it to the original filename. Copy File Types: Transfers a control file (JDF, XML, TXT, or similar file types) with your original file. Post Process: Defines the subsequent processing of a file after color conversion. Select an available script or batch file or enter a command line command manually. Job Report: Creates a report in PDF, HTML, XML or Text file format. The Folder defines where the job report is stored. Checks the accuracy of spot color conversion before printing spot or Pantone® colors of specific PDF and image files. The spot color report shows the results of a spot color conversion in terms of deltaE00, deltaE76 and separation into the process and/or multicolor. Configurations: Select one or more configurations from the list. A configuration contains all settings for the conversion. Only configurations with spot color conversion enabled are displayed in the list. Select a file or library under Source Data. PDF or Image File: Select the spot color PDF file to be processed with the settings of the selected configuration. Library: Select the spot color library to convert with the settings of the selected configuration. Sort order: Sorts the list according to various presets. When sorting by DeltaE, spot colors with the lowest dE are listed at the top of the table, those with the highest at the bottom. Preview and Save: Preview displays the results prior to creating a report (optional). Save will create and save the report in various data formats. Note: When creating the report, all spot color settings set in the configurations are used, including manual settings and warnings. Colors with warnings are displayed with red deltaE values. The SaveInk report provides a detailed overview of the color savings of all SaveInk queues and processed jobs. Select SaveInk Report in the sidebar. Enter a file name and select the format. The report can be created as PDF, TXT, HTML or XML. PDF is the default setting. Then specify the storage location. Click Save to create the report. Summary: Shows the ink saving for all queues. Ink Saving per Queue and Job: Shows details of individual queues and jobs. Note: The percentage calculations in the SaveInk report only refer to the CMYK components. Transparency effects, overprinting elements and spot colors are not taken into account. The Extract ICC Profile tool extracts embedded profiles from images or output intents of PDF/X files. This way, embedded profiles that are not available as ICC profiles can be used to create DeviceLinks or SaveInk profiles. 1. Click on the Extract ICC Profile icon in the sidebar. 2. Use Select to choose the file (PDF, JPEG, TIFF PSB or PSD) with the embedded profile. Click Open. Alternatively, you can drag and drop the file into the selection window. 3. The embedded ICC Profile, the PDF/X Version, and the Output Condition are displayed. The embedded profile can be saved with Extract. Color deviations in printing, e.g. due to differences in printers, inks or substrates, can be minimised using the spot color iteration tool. This ensures optimum conversion of spot colors to process colors, in digital or proofing production. Start the iteration process by printing spot color(s) converted by ZePrA on the printer to be used for the job. Test charts are measured and color deviations are optimized until the measured dE2000 values are within the desired tolerances. Activate the checkbox Convert Spot Colors in the Spot Colors tab under Configurations. Set the Calculation Method to Precise Match or Visual Matching for the best results. Then open the Iterate Spot Colors dialog by clicking Iterate. 2. Select the source spot color (PDF file or spot color library). 3. Create a test chart from a PDF file or spot color library. ZePrA uses all the spot colors it contains (solids) and converts them according to the selected configuration. Select an Instrument Setting and click Save. 4. Print the test chart without applying color management. 5. Measure the printed test chart. The reference file is automatically preselected. 6. 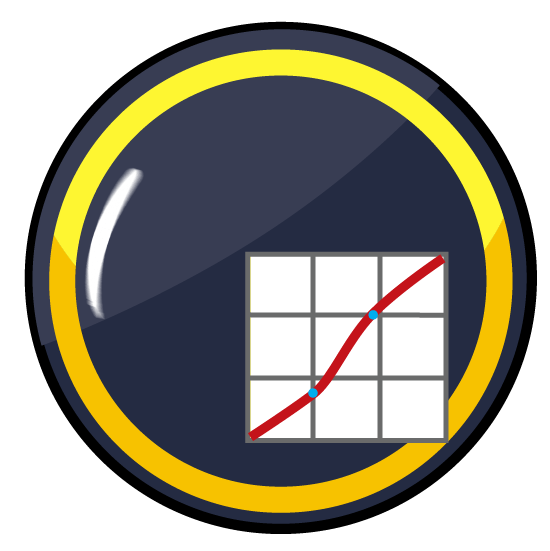 Optional, but highly recommended: Create a spot color iteration report with Calculate Report. It contains information about the achieved and measured deltaE values. 7. Click Apply. The optimized spot colors are calculated and applied in the configuration. Note: We recommend activating the checkbox Iterate all Spot Colors. 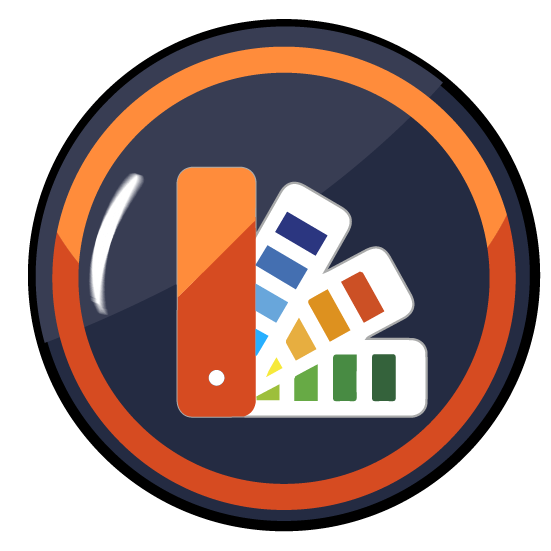 Spot color libraries and spot colors can be managed conveniently in ZePrA’s spot color module. Access the Spot Color Libraries in the sidebar. Libraries can be created, added, viewed and modified. Spot colors can be edited, imported or measured. For example, spot colors from color books can be measured with a spectrophotometer or lab values can be manually entered. Color tables with spot colors can also be imported. Supported formats include: Named Color ICC profiles, Photoshop ACO color tables, Adobe ASE color tables (from InDesign or Illustrator), text files in CGATS format or CxF or CxF/X-4 files. Both Lab and spectral color values are supported. Spectral measurement data is preferable as it provides the best results. Note: Spot color libraries are not included with ZePrA. PantoneLIVE® from X-Rite is a cloud solution for the digital storage of spectral spot colors. This includes Pantone color books, paper-dependent “Dependent Standards”, or custom color libraries. ZePrA includes direct access to PantoneLIVE®. A ZePrA spot color module license and an active PantoneLIVE® Production license from X-Rite are required. 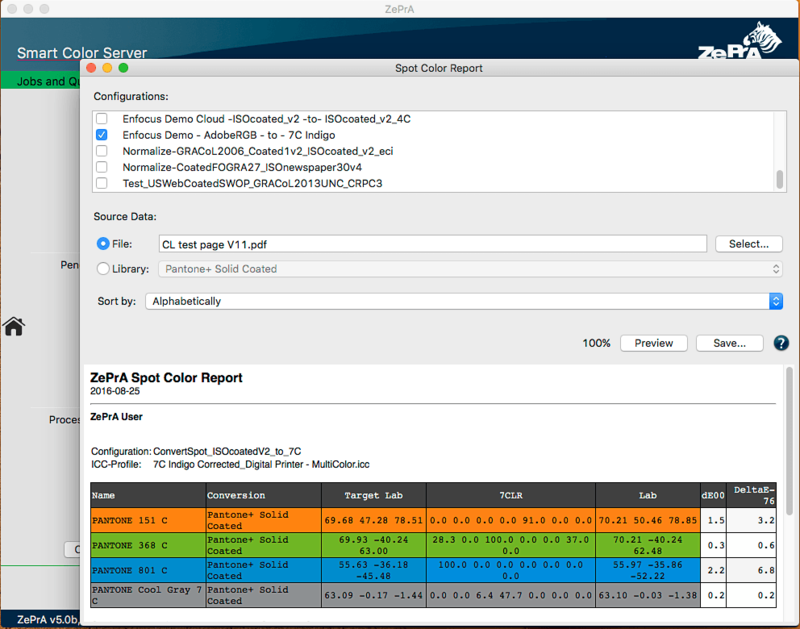 PantoneLIVE® libraries will be available and use them in ZePrA to process spot colors. For more information, see our online help. General information about PantoneLIVE® is available in the PantoneLIVE® documentation. Using gradation curves allows optimal preparation of print data for output. For example, applying tone value corrections just before printing and ensuring output quality within a printing standard. In the Curve Management window, you can create New curves and Duplicate or Delete existing ones. 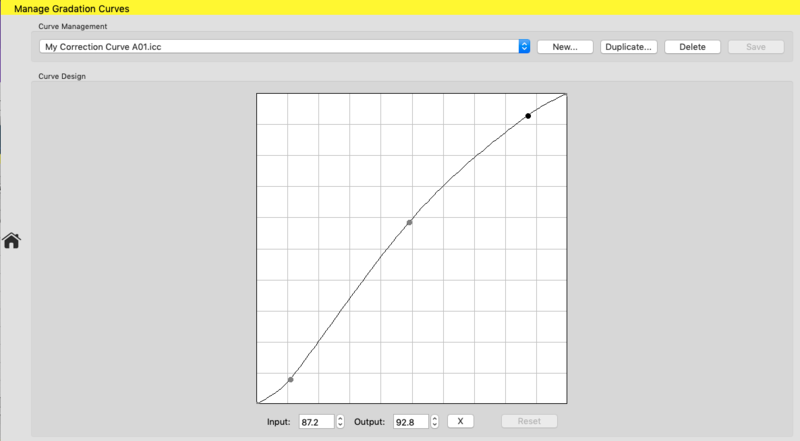 New curves can be adjusted in the Curve Design panel by clicking and dragging the curve or by entering values. To enter percentage values in the Input and Output fields, first create an anchor point on the curve by clicking onto it. The entered values will then affect this anchor point. X deletes anchor points. ZePrA’s SmartLink function can be customized by profile assignments. Standard Device Links, house standards or custom profiles can be assigned to configurations automatically. To add new SmartLink profile assignments, click New at the bottom of the window under Profile Assignments and select the DeviceLink profile directly from the DeviceLink Profile drop-down menu. To edit existing profile assignments, open the Edit Profile Assignment window by double-clicking the corresponding assignment. ZePrA can be integrated into other workflows via a configurator in Enfocus Switch and generally via Command Line Interface. This enables even complex workflows including data input to sorting, preflighting, color conversion and data transfer.